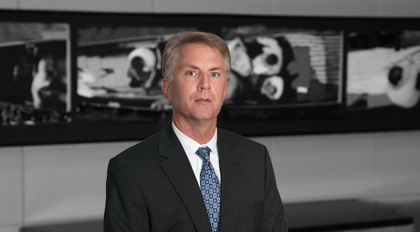 A licensed patent attorney with the Moore & Van Allen intellectual property group, Jim Edwards concentrates his practice patent preparation and prosecution in the electronic and computer technology arts. Obtaining patent protection in the U.S. and foreign patent offices. Infringement and invalidity investigations, conducting due diligence investigations related to corporate transactions. He also helps clients develop strategies to effectively manage their intellectual property, including patent portfolio assessments and working with clients to identify and capture inventive ideas. Prior to joining the legal profession Edwards spent thirteen years with Texas Instruments in an engineering capacity supporting semiconductor and defense systems technologies. Prior to joining Moore & Van Allen, Edwards was associated with the Cleveland OH firm of Amin, Turocy & Calvin, Alston & Bird in Charlotte, NC and D'Alessandro & Ritchie in San Jose, California. Edwards is a member of the State Bar of North Carolina, a registered Patent and Trademark Attorney and a 2003 graduate of the Mecklenburg County Bar Leadership Institute.